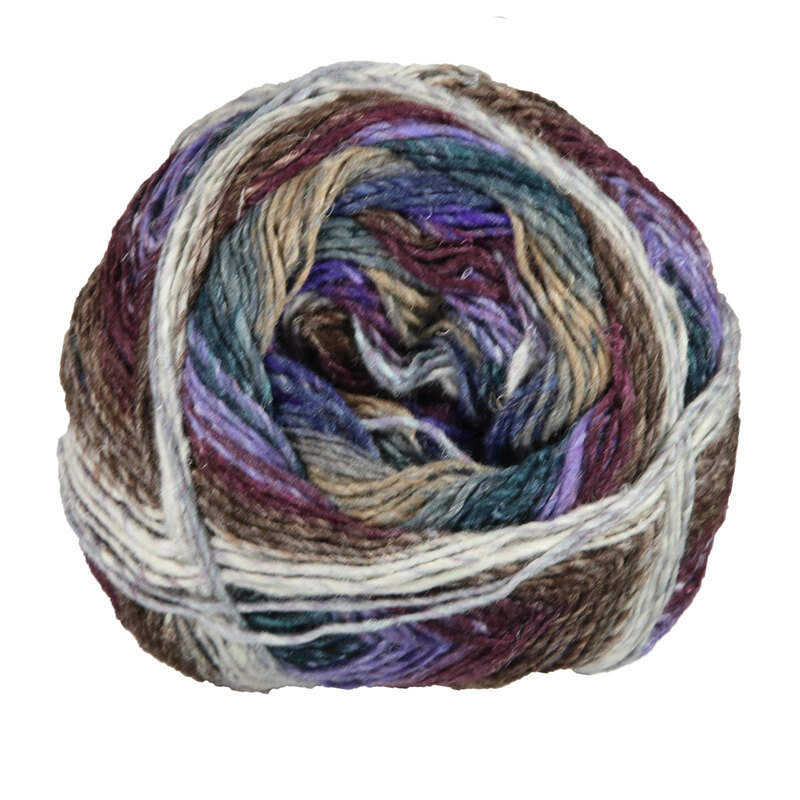 The Silk Garden that you've grown to love - in a sock weight! Using US 3 needles, each ball is enough to make a standard pair of socks. The beautiful self-striping colors are truly unique -Eisaku Noro's artistry in blending colors and fibers remains unsurpassed. Wearing a garment created with Noro yarn is like wearing a work of art. Noro Kureyon Yarn is a similar yarn: hand wash.
You may enjoy taking a look at the Noro Silk Garden Sock Spectra Scarf, Noro Silk Garden Sock Triangle Shawl, Noro Silk Garden Sock Intarsia & Lace Wrap, and Noro Silk Garden Sock Easy To Wear Cowl kits all using Noro Silk Garden Sock Yarn. 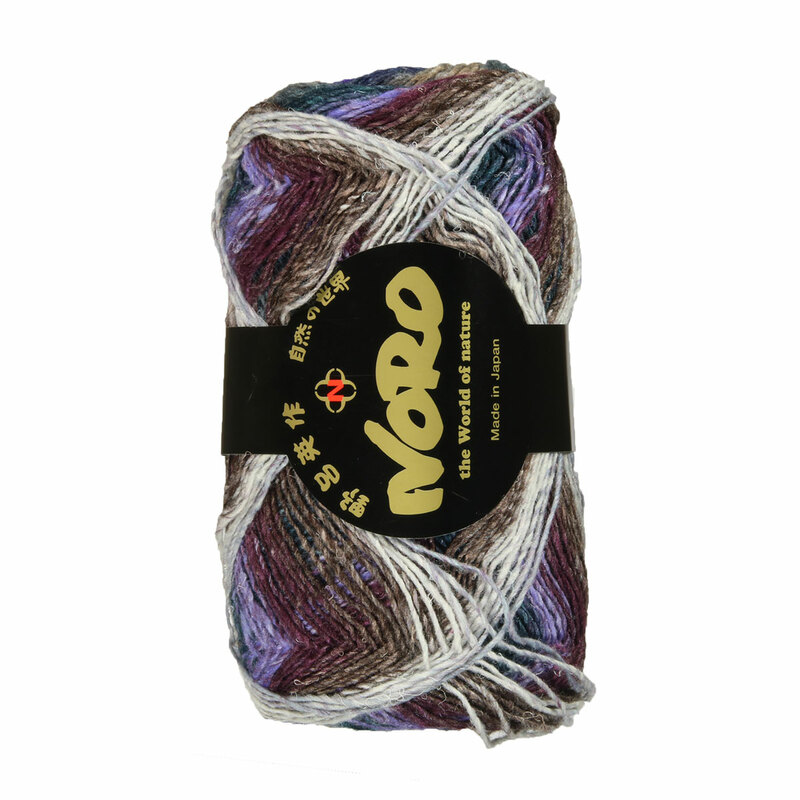 Hopefully our suggested project ideas for Noro Silk Garden Sock Yarn can help you come up with your next exciting new project idea!